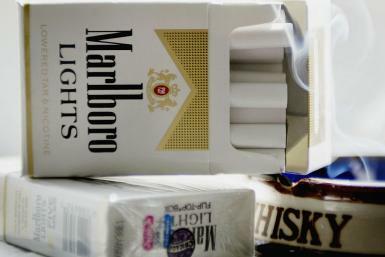 “Il faut être toujours ivre,” wrote Charles Baudelaire —we should be drunk, always! The amethyst, February’s birthstone, as intoxicating as its appearance is, actually had a reputation in ancient times for protecting against drunkenness, which we still see a hint of in its name, which comes from the ancient Greek for “not drunk.” The Greeks even made wine goblets from the stone, in the belief that it would help them keep their wits about them. Amethyst just also happens to coincide with Pantone’s Color of the Year for 2018, Ultra Violet, so you can be trendy and sober at the same time. 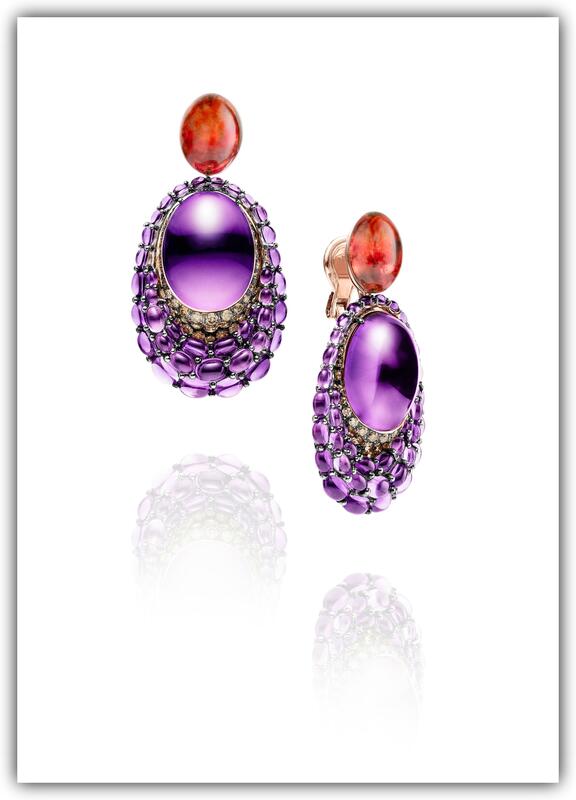 This rose gold pair of earrings from de GRISOGONO’s Melody of Colours collection really sings, with two amber cabochons supporting designs set with 84 amethyst cabochons, 44 amethysts and 190 brown diamonds. The expert use of large cabochon-cut gemstones, a signature of de GRISOGONO, gives these earrings a flowing, organic feel; the smaller stones could be anything from ripples in a pond to an elegant, scaly reptilian skin. Using a paler, almost lilac shade of the stone, Hammerman Brothers plays up the ethereal side of the stone with white diamond accents—80 diamonds in total, weighing 1.20 carats. The two marquise-cut amethysts, weighing in at a total of 15.47 carats, dominate the piece, while the two cushion-cut amethysts in the mounting create a complex play of light and hue. With an expert mix of cuts and use of color, these earrings project a breezy, feminine confidence. Crafted in 18-karat rose gold—a popular color to complement the purple stone—these dynamic earrings from Sutra develop a simple lozenge shape into something quite interesting. 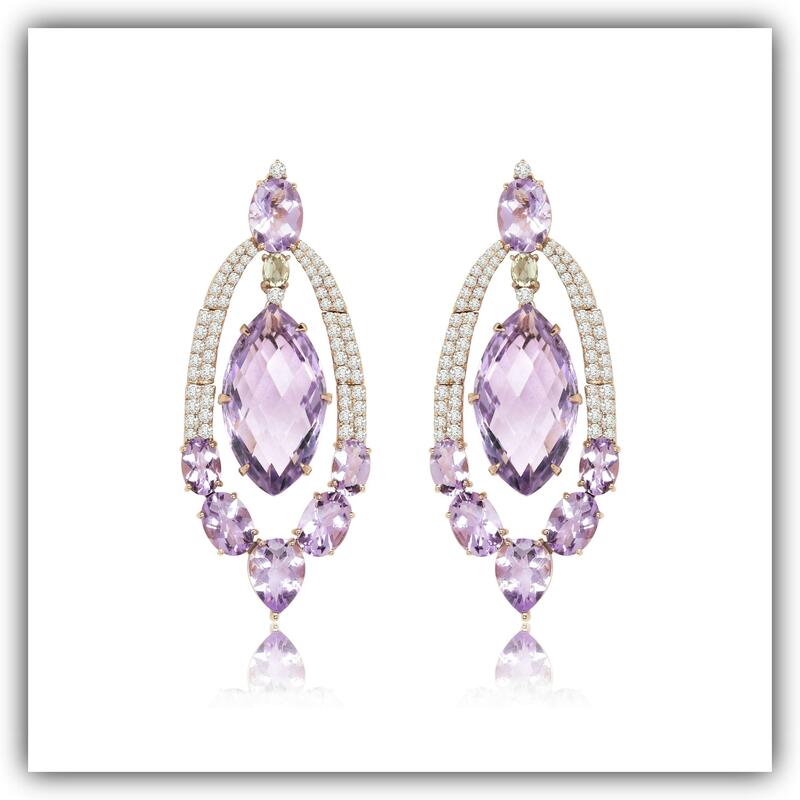 Amethysts faceted into perfect almond shapes sway within a frame that is pave with round-cut diamonds and drips, at the bottom, with marquise- and oval-cut amethysts. An oval-cut amethyst at the mounting, topped by another white diamond accent, supports the precious frame. With a total of 1.5 carats of diamonds and 27 carats of amethysts, Sutra creates a bold yet airy look.